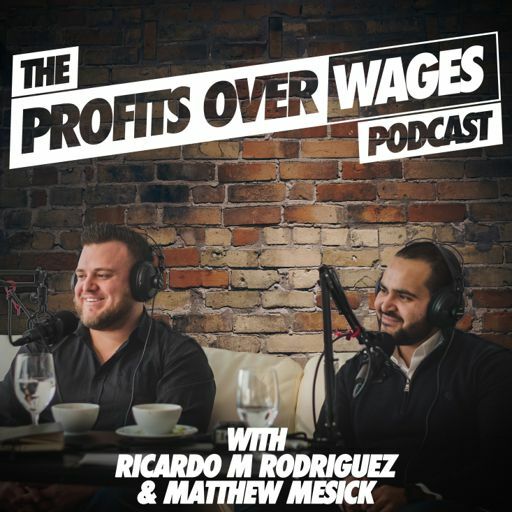 On episode 45 of the Profits Over Wages Podcast we sit down with Fernando Angelucci - He is the founder and president of the Titan Wealth Group. At age 19, Fernando started his first entrepreneurial endeavor, a painting company that brought in six-figures of business within the first year. He graduated from the University of Illinois at Urbana-Champaign with a degree in Technical Systems Management despite wanting to become a real estate investor since age 16. Shortly thereafter, he began to invest in real estate, first in the capacity of wholesaling and later via fix and flips and rental properties. His real estate side business began to take off and Fernando ended up quitting his job to pursue real estate investing full time. Fernando then partnered with Steven Wear and founded Titan Wealth Group. Under Fernando’s leadership, the firm’s revenue has grown over 100% year over year.